THE CREATIVE INDUSTRIES ARE TRANSFORMING THE WORLD AND FUELING THE ECONOMY. Presented by the Pittsburgh Technology Council, the CREATE Festival is the Creative Industry's signature annual event. 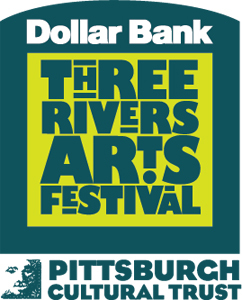 Hosted annually during the Dollar Bank Three Rivers Arts festival, CREATE features talks, workshops, performances, awards and interactive experiences for the best in the Creative Industries. Get connected. Be Inspired. Make new friends. Show your stuff. Change the world. The Creative Industries network exists to empower Creatives to make the world a better place, through creative expression -- and cultural-economic transformation. Want to share your ideas? Propose a talk or workshop for the network. Looping 24/7 at the Pittsburgh International Airport, you may have seen our illustrious Creative Clash Video streaming in the security line. Featuring nearly 100 makers, entrepreneurs, companies and innovators working in the Creative Industries in Pittsburgh, this video welcomes over 1 million visitors each year.